CONCERNS are mounting over the mix of housing to be provided at a new suburb of more than 8,000 homes at Clonburris between Clondalkin and Lucan. 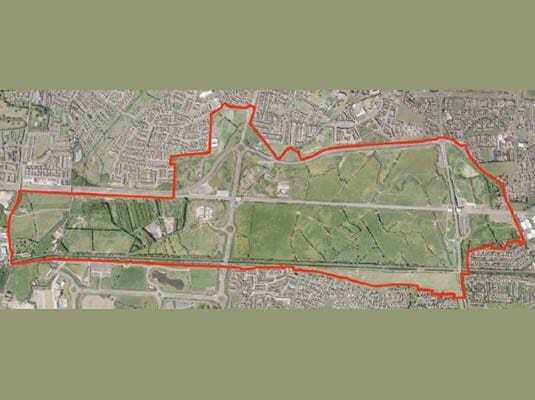 Plans for the Strategic Development Zone (SDZ) of 280 hectares off the Fonthill Road are due to be published by South Dublin County Council within days. But public representatives are uneasy about comments from planners that the bulk of the SDZ land owned by the council – 98 hectares – will be used for parkland. People Before Profit Cllr Madeleine Johansson warned it was “code for no social housing”. Cllr William Lavelle (FG) said the development should be put on hold until Adamstown is completed and traffic issues in the area are addressed. Lucan-based Cllr Lavelle warned that worries over traffic congestion could lead councillors to vote down the project. In total 24,000 houses will be provided along the railway line at Adamstown (which is only 15 per cent completed) and Clonburris using ‘fast track’ planning. Once zoning is passed – which needs councillors’ support – any planning permission granted for developments cannot be appealed to An Bord Pleanala. SDCC director of planning Eddie Taaffe said the land could generate more than 500 homes a year over the next 15 years providing a steady stream of housing. The plan was first mooted almost a decade ago along with the Metro West rail line but the then proposal for a high density ‘eco-district’ of up to 15,000 apartments was shelved in 2011. It is welcomed to ease the housing crisis however alarm bells are now ringing because the council, which owns 35 per cent of the land, says a “big chunk” of that 98 hectares will be green space. PBP Deputy Gino Kenny said: “The comments regarding the public land being used mainly for parkland is very disappointing. Effectively, this means there will be very few social and affordable housing units in Clonburris. Labour spokesperson Joanna Tuffy called for a national affordable housing scheme to be established for Clonburris. Meanwhile Sinn Fein Cllrs Mark Ward and Danny O’Brien both called on the council to get the plan right given the development’s importance to Clondalkin and Lucan.